Tucson, AZ, WPH Press, 12/11/17- JR WPH was thrilled to present the 2017 Tucson Amateur Championships on the second weekend in December, featuring the JR WPH Collegiate Singles, Amateur Singles, and 50+ doubles. 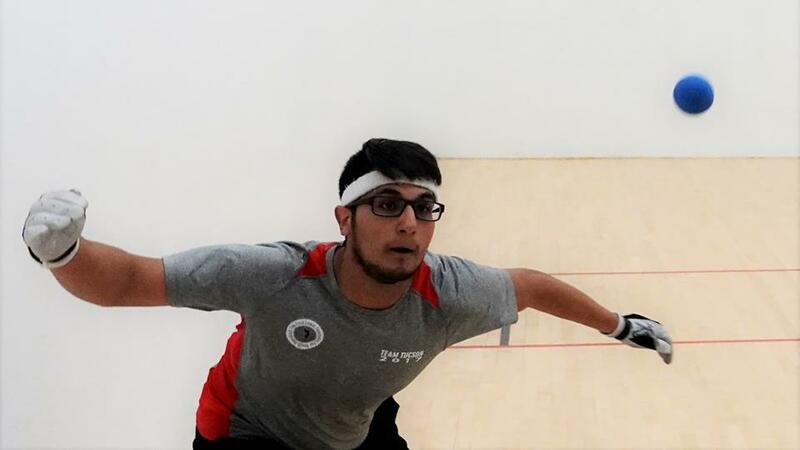 Players between the ages of 18-67 from Tucson and Phoenix competed in the one-day handball extravaganza at the Tucson Racquet Club. 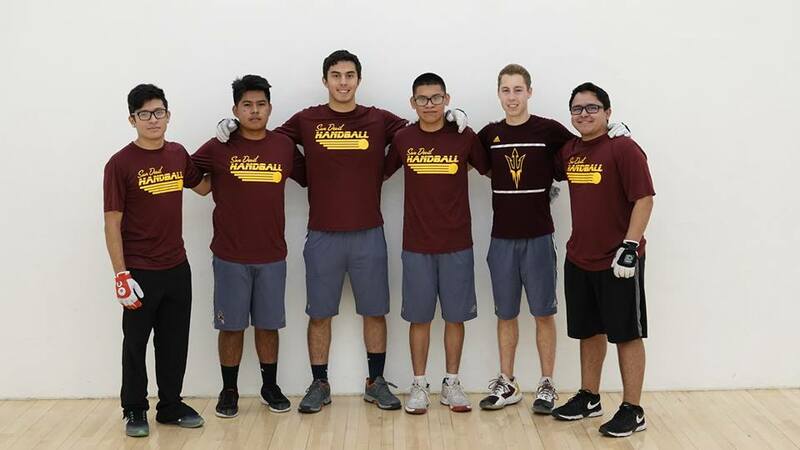 A dozen collegiate stars from Pima College and Arizona State University battled for the first JR WPH Collegiate Championship, with the collegians producing sensational matches and demonstrating outstanding sportsmanship. Fred Lewis Foundation star Carlos Espinoza entered the event as the top seed and cruised to the semifinal with an impressive win against Arizona State’s Esteban Morales. FLF star Noe Rios and FLF alum and current Arizona State star Esteban Camacho played the closest match in the quarterfinals, with the longtime friends and rivals needing overtime to decide a winner. Rios rallied from a 24-25 deficit to score the last three points and advance to the face Espinoza. In the bottom bracket quarterfinals, ASU’s Derek Doyle edged FLF’s Alejandro Sandoval, while Pima College’s Dylan Key ousted ASU’s Javier Davila. Espinoza was too strong for Rios in the upper bracket semifinal, while Key cruised past ASU’s Doyle in the bottom bracket semifinals. Despite both living in Tucson, Espinoza and Key met for the first time in the Collegiate Final. Key started strong in the final, racing to a 10-2 lead and seemingly on the verge of a one-game lead in the best of three game final. Espinoza closed the gap and eventually tied Key at 11, then carried the momentum to a one-game lead.